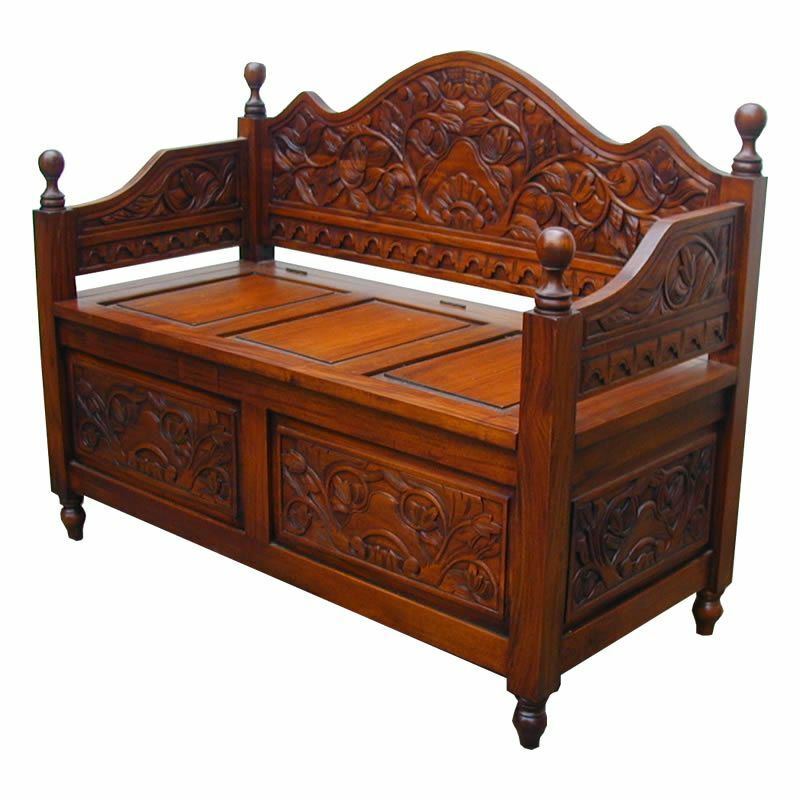 Inspired by the traditional Monk's Bench is this Monk's Bench with storage which has been beautifully hand carved from mahogany. This bench features a lift up lid (all of the seating area raises) allowing access to a useful and practical storage space beneath. Also available in an Antique White finish. (Item 1905AW) This is an ideal and practical bench for many rooms such as a hallway, bedroom or bathroom and it would also look great in a conservatory. Dimensions in cm: 47D x 100W x 80H.